The property on Welcome Bay Road was well-involved in fire when the fire service arrived. File photo. 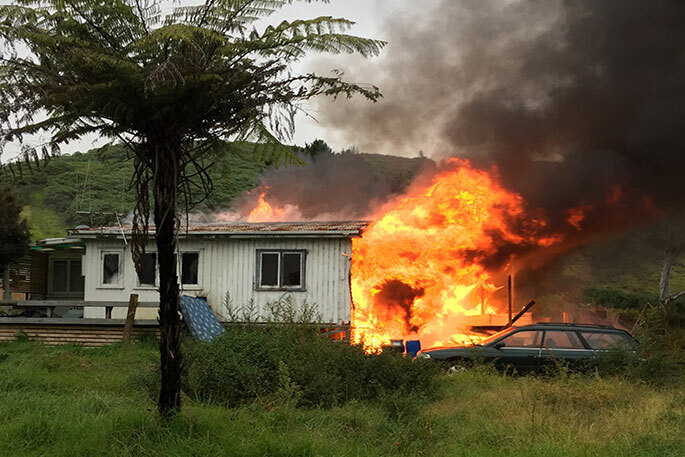 Police have been making enquiries into a fire that occurred at a property in Welcome Bay Road, Tauranga, on Saturday, but say it is ‘too soon’ to say whether the fire is considered suspicious. A spokesperson says police and a fire safety officer attended the scene on Sunday morning, but there are no further updates. The fire at 752A Welcome Bay Road was fully involved when the fire service arrived at around 4.40pm on Saturday afternoon. The owner of the property was not home at the time. The fire service used two trucks, two hoses and accessed water from the mains water supply available outside Faith Bible College, directly opposite the property. Welcome Bay Road was closed while the fire was put out, with local residents assisting with traffic control until police arrived at the scene.